MODEL CRAFT Pick & Place Tool From BILLING BOATS USA Is Great For Maneuvering Small Parts Into Tight, Awkward Spots! Having trouble gluing small, fiddly parts into place? Get the unique, innovative MODEL CRAFT Pick & Place Tool from BILLING BOATS USA, Inc., master distributor for BILLING BOATS of Denmark! It’s simple to use! Lightly press the Pick & Place Tool’s mildly sticky tip to a part – and maneuver the part into place. 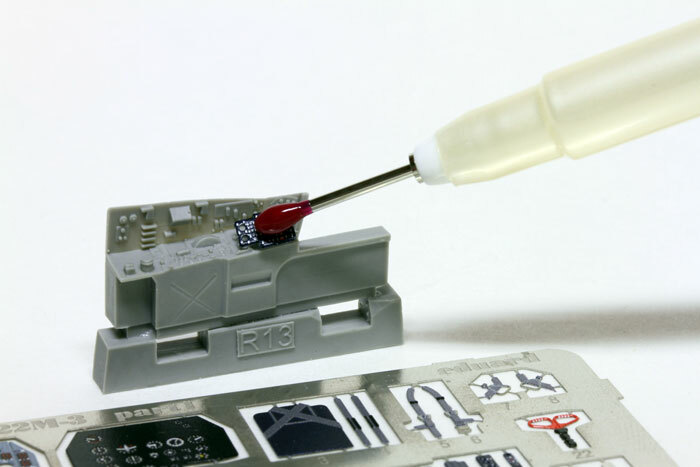 When glue starts setting the part, gently remove the Pick & Place Tool. And the part’s in position! And the suggested retail price (SRP) is just US$9.99* each! MODEL CRAFT TOOLS help projects go faster and easier. Leading hobby & craft enthusiasts love their quality, value and precision. The growing MODEL CRAFT TOOLS range – available at finest craft and hobby retailers everywhere – features over 250 innovative implements for hobby, craft, DIY, woodworking, and household uses. BILLING BOATS USA remains your one-stop source for the world’s finest model boats, hobby & craft tools, fittings and accessories. The company offers dozens of products for model boat enthusiasts from beginner to expert – even for children!